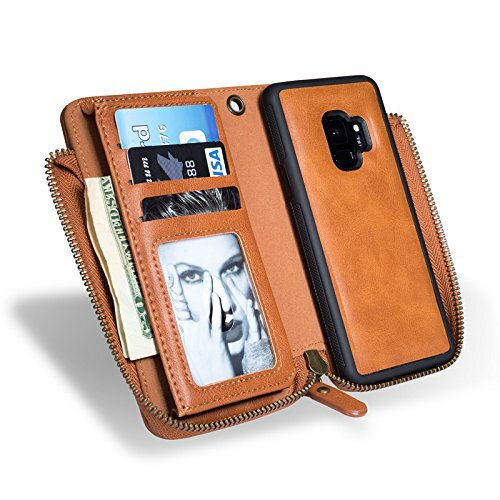 Purse iPhone Perfect Combination of wallet,Card Holder, cell phone case. easy on the go or stored in your bag. Premium PU Leather and interior shell provides all-body protection for your device against scratches. Detachable Wrist-strap: That is a great choice for you to carry it easily, also you can hang your keys or some little cute decoration.